I don't know WHY I've never reviewed one of the many, fantastic Tacky the Penguin books here before now. I guess Tacky just seems like the kind of character that everyone already knows about, like Skippyjon Jones or Fancy Nancy. 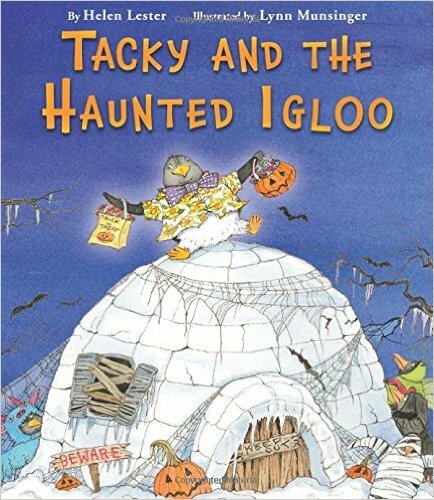 But a Halloween book from the perfect pair of Helen Lester and Lynn Munsinger, authors of many other superb picture books, is reason to review Tacky and the Haunted Igloo! 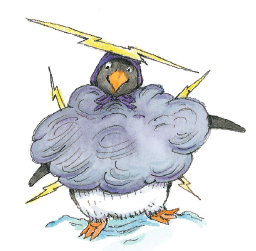 Halloween is approaching and the residents of Nice Icy Land have decided to turn their igloo into a HAUNTED igloo! Goodly and Lovely handled the decorations and Angel, Neatly and Perfect worked on the treats. Tacky's contribution? Sampling the treats. When time came to choose costumes for the Big Halloween Night they all dressed up as things they were afraid of. Except Tacky. Tacky could not think of anything he was afraid of. He headed off to a thinking place to consider his options. 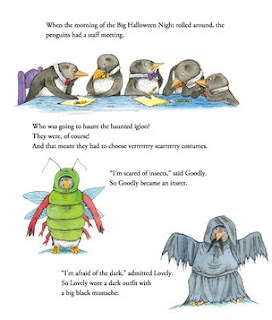 Tacky misses out on all the fun - and the frights when three big ghosts show up to the party. 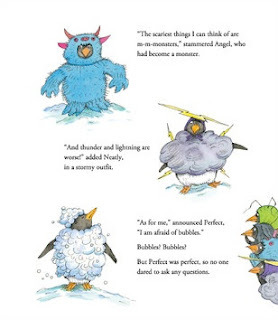 When the costumes come off the penguins discover that they hunters have returned and the treats filling their bags are the penguins. Just when things look darkest, Tacky shows up with his costume on and, as always, he is unwittingly hilarious - and helpful. I don't want to give away the ending to Tacky and the Haunted Igloo, but it really is excellent and completely in the spirit of Tacky!